On Oct. 17, the fourth installment in the Professor Layton series will be released in North America. Thirty-nine days later, on Nov. 25, it will be released throughout Europe. A lot of changes have been made to this Level-5-developed title since it hit the streets in Japan two years ago. For starters, there's its name. 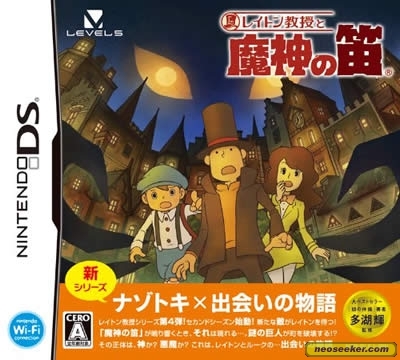 In Japan, it was called Reiton Kyōju to Majin no Fue, or Professor Layton and the Specter's Flute, when it hit the streets in 2009. 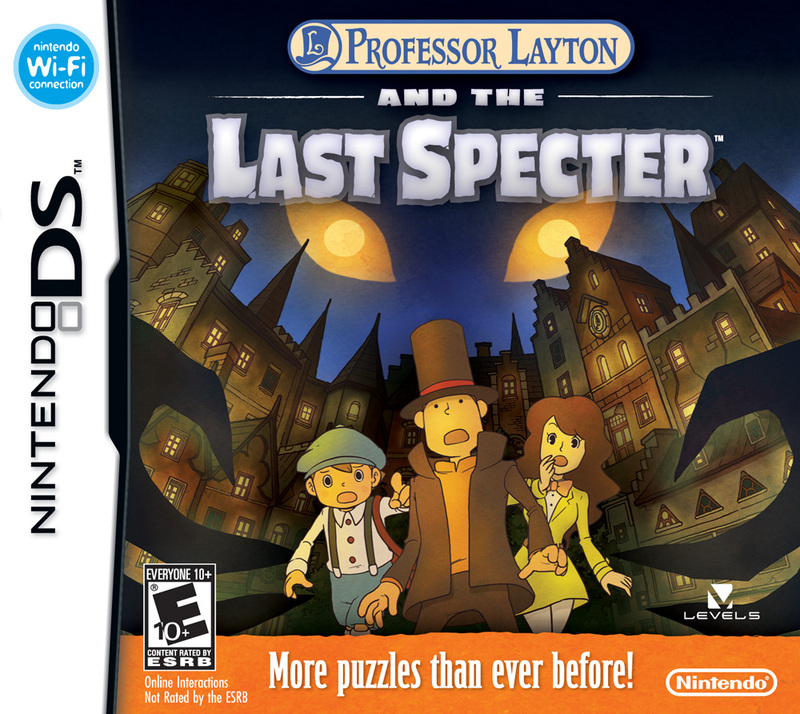 When it arrives in North America next month, however, its box art will bear a new title: Professor Layton and the Last Specter . 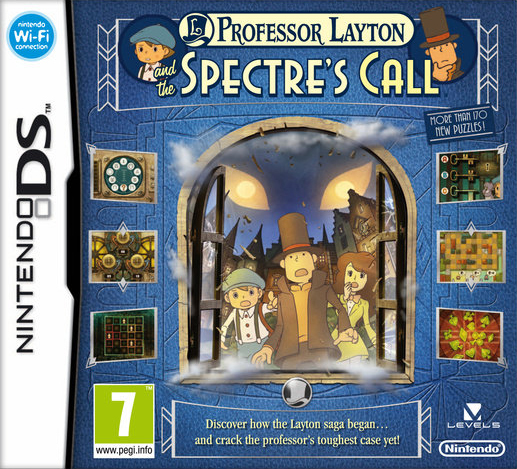 Finally, European fans will have to search for an altogether different name--Professor Layton and the Spectre's Call--while scanning store shelves for the game. 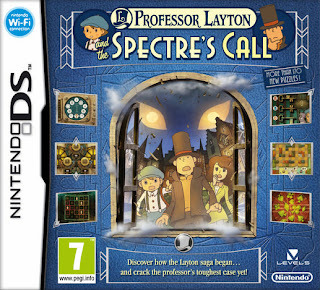 The fourth Professor Layton title's name isn't the only thing that has been tweaked in the last two years. Its cover art has been changed, too. Which piece of box art to you like best? 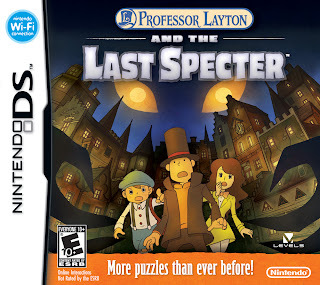 Also, which title--Professor Layton and the Last Specter, Professor Layton and the Specter's Flute or Professor Layton and the Spectre's Call--do you prefer? My response to the second question: Professor Layton and the Specter's Flute. My response to the first question: The North American box art. I like that the logo is more prominent than it is on the Japanese cover, and I also like that the orange band along the bottom is much smaller on the North American cover than it is on its Japanese counterpart. I'm impressed by the awful european cover! That's unusual! i rather like the european cover the best. I tire of "The Last" anything in game titles, like titles with the words 'Legend', 'Revelations', 'Origins', 'Bloodline', and others to which i've become numb. I also like the color and layout of the european cover. Wasnt this the one originally called "The Devil's Flute"? Love that name. The English one seems to try to mimic the Japanese one in a way. As for the Japanese cover: Do you mind me asking why you seem to prefer it to the similar North American art? J: I don't like the Euro cover as much as I liked the Euro covers of the last three Layton games, but I still think this one is OK.
Do you mean the North American cover seems to try to mimic the Japanese one, Motherplayer? If so, I agree! They're nearly identical, IMO. If you mean that the Euro/UK cover tries to mimic the Japanese one, can you explain what you mean by that? I honestly don't see it at this point. I never understood those PAL version covers. I see them all the time over here and I definitely prefer the NA or Japanese Professor Layton covers over the PAL ones. They're so.. cluttered! For one, they take a perfectly nice illustration and only show a tiny portion of it, and then on top of that they went and added that weird smoke around it.. Seems like they went to great lengths to make it look as silly as possible! I like the Japanese cover the best. The US one is obviously very similar, but it appears that the colours are slightly muted while the original has a warmer tone. Anne: Yeah, the Euro (and Aussie?) cover art is definitely cluttered. Still, I like them for some reason. I think it's just because they're different. That said, I agree that the Japanese and NA art is "better." I really like the main illustration, by the way -- the best of the series so far, IMO. Yay! Another person who agrees with me :) BTW, are you planning on getting this, Justin?